HIS recognizes that creating partnerships for learning establishes a climate of involvement and interaction between our internal and external communities and our schools. Research in education will confirm a direct correlation between strong community involvement and improved student learning. Our strategic plan currently targets the development of partnerships in the areas of learning support, English language, service-learning, athletics and activities extensions, and family-school-community partnerships. Each quarter, the DragonNews magazine shares news and information regarding our partnerships for learning. HIS schools currently has partnerships with its parent community through the Parents and Friends Association (PAFA); learning support through the Essential Learning Group; service learning through the Library Project; extra-curricular programs such as Yougo Sports International Academy; family-school-community relations through the Dongxin Community Center; and regional educational and activities organizations such as the East Asian Regional Council of Overseas Schools (EARCOS), the Association of Chinese and Mongolian International School (ACAMIS), the China International Schools Sports Association (CISSA), and the Shanghai International Schools Activities Conference (SISAC). This month our featured partner is Next Frontier Inclusion. Next Frontier Inclusion promotes and protect the interests of children who learn in different ways or at different rates. They do this by supporting schools in all aspects of their journey towards inclusion. The IB offers an education for students from age 3 to 19, comprising of four programs that focus on teaching students to think critically and independently, and how to inquire with care and logic. The IB prepares students to succeed in a world where facts and fiction merge in the news, and where asking the right questions is a crucial skill that will allow them to flourish long after they’ve left our programmes. IB is supported by IB teachers and coordinators who develop and promote the IB’s curriculums in almost 5,000 schools globally every day, in over 150 countries around the world. The Accrediting Commission for Schools, Western Association of Schools and Colleges (ACS WASC), a world-renowned accrediting association and one of the six regional accrediting agencies in the United States, works closely with the Office of Overseas Schools under the U.S. Department of State. ACS WASC provides assistance to schools worldwide, primarily in California, Hawaii, Guam, Asia, the Pacific Region, the Middle East, Africa, and Europe. The Accrediting Commission for Schools, WASC, extends its services to over 5,000 public, independent, church-related, and proprietary pre-K–12 and adult schools, works with 18 associations in joint accreditation processes, and collaborates with other organizations such as the California Department of Education (CDE). The ACAMIS Gold Division hosts tournaments annually in sports. CISSA, created in 2000, is made of 19 international schools in the Shanghai region that take part in athletic events for Middle School teams. CISSA is built upon a participatory philosophy, giving every interested Middle School student the opportunity to play on a school sport team. Seasons are 6-8 weeks long with one game and one practice per week. ISTA brings together young people, artists and teachers from different countries in different settings to experience, create and learn about theatre.They produce and run more than 80 events each year designed to inspire and engage students and teachers alike. From their fabulous festivals to their inspiring teacher workshops, their events are designed to leave lasting memories and transform the lives of everyone who takes part. 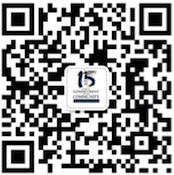 There are 14 international schools in the Shanghai International Schools Activities Conference (SISAC). SISAC concludes each of its sports seasons with the “City Championship." YSIA trains and promotes students in sports. ELLSA (English Language Learning Specialists in Asia) is an organisation for EAL (English as an Additional Language) teachers in Asia to connect, collaborate and advocate for the teaching and learning of our students. The annual ELLSA Conference brings together international school English language learning specialists in Asia for professional development and networking. Topics include the latest research-based ideas, models, strategies and tools used to facilitate on-going improvement in the teaching and learning of English language learners across the curriculum. WIDA provides language development resources to those who support the academic success of multilingual learners. We offer a comprehensive, research-based system of language standards, assessments, professional learning and educator assistance. WIDA’s trusted resources are used by 41 domestic states and territories and more than 400 international schools throughout the world. SUNY Buffalo State is the largest college in the State University of New York (SUNY) system and is accredited by the Commission on Higher Education of the Middle States Association of Colleges and Schools and by the Board of Regents, State University of New York. SUNY, a statewide system of 64 campuses, is the largest, most diverse multi-campus university in the United States. The Master of Science degree in Multidisciplinary Studies is one of the 62 graduate programs offered by SUNY Buffalo State. The program is designed for individuals with unique professional and educational objectives not readily met by traditional master’s degree programs. Numerous national as well as international educators enroll in this degree program. The Office of International Graduate Programs for Educators is responsible for the Master of Science program in Multidisciplinary Studies as well as professional development for educators working at American/International Schools. The degree program is hosted by American/International Schools for cohorts (groups) of education professionals. HIS PAFA (Parents and friends association) are primarily a community-building group. All parents and guardians of HIS students, faculty, staff members, administration, and support staff are also automatically members of PAFA. Together as parents, students, staff, faculty and friends, PAFA builds a solid foundation that unites our diversity and fosters a positive, cohesive community. PAFA plays an important role on the HIS campus. Dongxin Community center is an important organization of the Binjiang District that organizes and provides ongoing support to the Dongxin area. SPAN refreshes, equips, and connects transition-care providers around the globe who are committed to healthy student, family, and staff mobility within and between schools. As leaders in supporting and connecting school-based programs addressing international mobility, SPAN is a partner in transforming transition-care in the school community. The Association of China and Mongolia International Schools (ACAMIS) provides learning opportunities for students of all ACAMIS member schools in a total program of education, especially in sports competitions and arts and culture. It advances the professional development of staff of member schools. ACAMIS facilitates communication and cooperative action among member schools and promote understanding and international friendship through activities. ASCD empowers educators to achieve excellence in learning, teaching, and leading so that every child is healthy, safe, engaged, supported, and challenged. Comprising 113,000 members—superintendents, principals, teachers, and advocates from more than 129 countries—the ASCD community also includes 71 affiliate organizations. EARCOS inspires adult and student learning through its leadership and service and fosters intercultural understanding, global citizenship and exceptional educational practices within our learning community The East Asia Regional Council of Schools is an organization of 165 member schools in East Asia. These schools have a total of more than138,212 pre-K to 12th grade students. EARCOS also has 150 associate members— textbook and software publishers and distributors, universities, financial planners, architectural firms, insurance companies, youth organizations, etc— and over 40 individual members. Membership in EARCOS is open to elementary and secondary schools in East Asia which offer an educational program using English as the primary language of instruction, and to other organizations, institutions, and individuals interested in the objectives and purposes of the Council. Founded in 1965, ECIS (the Educational Collaborative for International Schools) is a non-profit global membership organisation that provides professional learning, research, advocacy, and grants and awards for the benefit of its members. ECIS's mission is to transform lives through international education. Globally Grounded develops programs to educate and support the key stakeholders in a Cross Cultural Child's community. From staff training and in-house program development, keynote addresses and one-on-one support, presentations to raise awareness and workshop facilitation to develop parenting strategies, Jane has the knowledge, skills and framework to give cross cultural families, and those who work with them, the greatest chance of success as they enter or re-enter another culture, whether that be domestically or internationally. ISM began with a simple vision—strengthen private-independent schools by empowering school leaders who have dedicated their lives to helping children succeed. Founders Rod and Anne Snelling started with the creation of Ideas & Perspectives in 1975, an advisory periodical filled with best practices, insights, and resources. As new challenges arose in the community, ISM responded with options to help leaders navigate and overcome obstacles. Today, ISM is a company of three divisions and nearly 25 departments still driven by the same mission—advance school leadership to enrich the student experience. The International Schools Association works to promote international and intercultural understanding. In so doing the Association espouses a number of values – peace, freedom, equality, tolerance and the celebration of both diversity and similarity – which express for the Association the essential meaning and purpose of multiculturalism and international mindedness. KAA is a dynamic, creative leadership, training and development consultancy. They design and deliver professional training and development programmes for leaders and people involved with providing or supporting learning, worldwide. Their inspirational programmes & consultancy have proven success and organisational impact. Lead Inclusion provides research-based professional learning internationally that facilitates equitable opportunities for all students, with and without learning differences. Their niche is to assist schools to develop individualized and personalized goal setting, research-based intervention and support, and assessment and grading of learning and behavior. Lead Inclusion supports equity, and focuses their solutions on students with learning differences and those who are at risk for or are experiencing compromised educational outcomes. The PTC serves the unique professional development needs of practicing and aspiring principals, teachers, counselors and school business leaders in international schools worldwide. The PTC strives to provide world class, research-driven practical training, designed to be put into practice in the international school setting. Since 2008, Singapore Math Source has shared news, information, resources and more regarding the world’s best elementary math curriculum. Cassy Turner Each year, introduces Math from Singapore to thousands of teachers, administrators, and parents and continues to provide dozens of schools with ongoing practical advice and coaching. The Global Recruitment Collaborative (GRC) emerged from a very simple premise - Create a database of educators of the highest caliber, field tested at some of the best international schools in the world, with a passion for learning in an international context. The ‘aha’ moment between recruiter and candidate does not happen when reading a recommendation, scanning through work history or reviewing an inventory of skills and attitudes. It happens in conversation; where recruiters can bring out the essence of their school’s culture and candidates can share how they deliver their educational philosophy. International schools can transform students and communities in unique and beautiful ways. That’s amazing! And that’s why, as the nonprofit leader in international education, International Schools Services is dedicated to supporting and developing all aspects of a strong, vibrant school. ISS connects educators and schools to international teaching jobs and leadership roles; sources essential school supplies; and conducts accounting functions for schools. As passionate life-long learners, ISS thrives in creating professional development opportunities for educators and supporting meaningful community dialogue. ISS starts and manages international schools, which means that they continue to live, breathe, and be engaged in today’s international school environment. For more than 28 years, Search Associates has helped over 35,000 primary and secondary administrators, teachers, counselors, librarians, and interns find exciting positions in international schools around the world. Every year, Search Associates assists over 3,000 candidates secure positions abroad. True Teaching seeks to place world class Educators in front of students everywhere. All students deserve quality schools and good teaching! In its relationship with clients and educators, True Teaching embodies ethical and honest practices in its effort to ensure dedicated Educators are placed in front of classrooms everywhere. True Teaching aims to improve the quality of education in schools around the world by putting the best Educators in schools that match their aspirations, values and pedagogical beliefs. This is achieved by establishing relationships, between, True Teaching, its clients and candidates, based on integrity, and the expectation that those relationships will endure and deepen. Offering services since 1976, the University of Northern Iowa (UNI) Overseas Teaching Services, a program area of UNI Career Services, connects American international K-12 schools with certified educators year round. The Library Project works in rural communities in China and Vietnam. The schools they work with are underfunded and tend to be smaller in size, between 50-200 children in attendance. The size of a school matters in that it determines the amount of money local governments provide. They have partnered with the local Board of Education at all of their library donations. It is essential to engage local government and support their future plans for their school district. These partnerships help them to push the teachers to meet their organization’s literacy goals at each of the schools we support. Education Across Frontiers is an organization dedicated to the professional learning of teachers and school leaders around the world. They believe that student learning in the classroom is greatly enhanced when educators pursue their own learning and action research. To this end, Education Across Frontiers Sdn. Bhd. offers a variety of professional development learning opportunities specifically designed for the international educator such as Differentiated Instruction, Assessment in the Differentiated Classroom, Leadership, and Staff Development. ELG offers the only multidisciplinary, international daily program in China for children and adults with special needs. They provide services from birth through adulthood for clients who cannot get their needs met through international or local schools or other service providers. LIH Olivia’s Place provide world class, multidisciplinary pediatric therapy services to children of all abilities and all ages. World class care for all kids is offered through three major service areas: Pediatric Therapy Consulting Services, Educational Outreach, and Foundation Initiatives. (SEINA) is an association of educators, professionals, and parents whose mission is to advocate for and provide resources/supports for differently abled individuals. and careers guidance for global secondary schools. BridgeU was founded to help young people around the world realise their potential, through empowering schools to provide smart, modern university and careers guidance to students. NWEA (North West Evaluation Association) are based in Oregon, in the U.S. They have been in the assessment business for the past 40 years and have developed "norms" for students at each grade level, which are based on the performance of millions of students, over many years. The MAP Assessments are used by many International Schools across the world. Provides cafe, cafeteria, food and beverage services. Pure Living works across industries, including education, real estate, finance, retail, high tech, media and manufacturing end-to-end solutions to improve air quality, facility efficiency, and reduced energy costs. In collaboration with different brands, Vision Textiles makes a wide variety of sustainable products, including school uniforms, from Waste2Wear fabrics. WorldPath Clinic International, is a comprehensive multi-specialty clinic, conveniently located in Pudong's financial district. It was founded in 2009 through a partnership of physicians and healthcare professionals in both China and the United States.